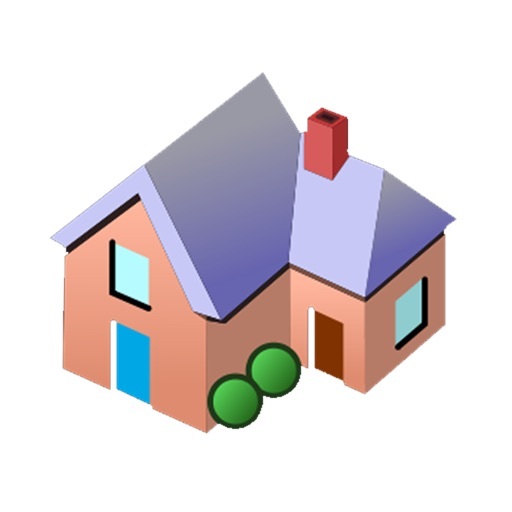 Helps roofers and insurance agents calculate waste, starter, and hip/ridge values based on slope of roof and length of roof elements. 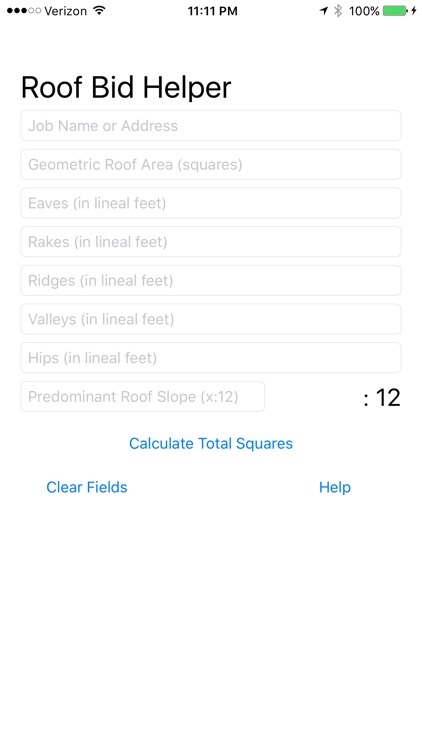 Once you have the raw number of roofing squares, along with other items on your roof diagram (eaves, rakes, ridges, hips, valleys, roof slope), simply enter them in and Roof Bid Helper will do the hard work of finding your total number of squares! 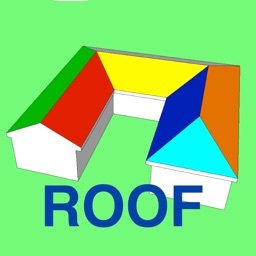 Complex calculations created by roofing contractor approximate closely what you will need for your roofing project. 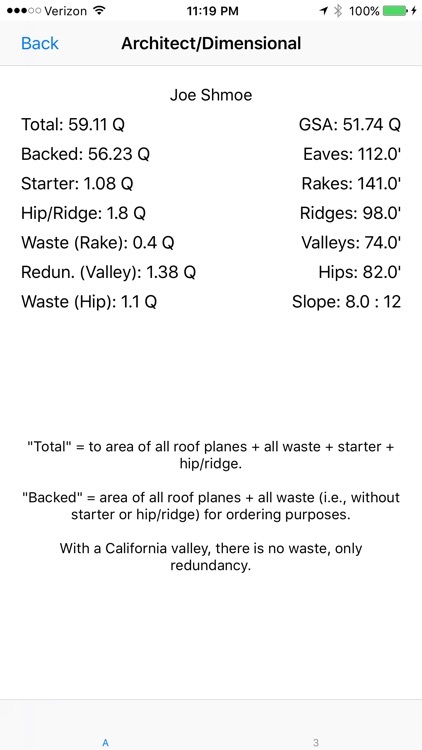 This app considers all the pertinent factors of the roof to figure how much waste/redundancy will occur at valleys and hips. 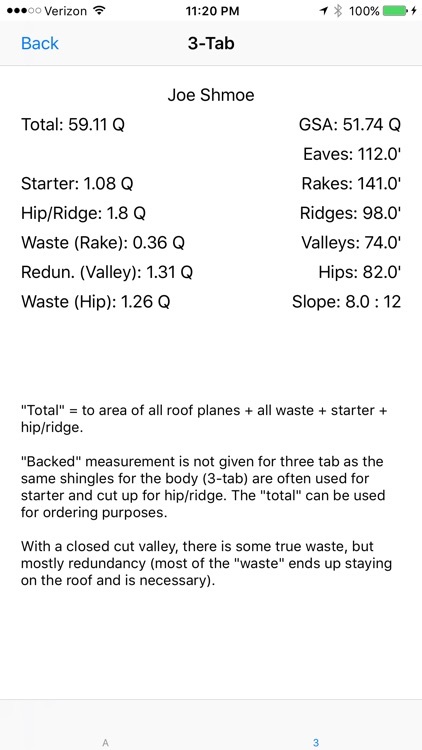 It considers whether you are using 3-tab or dimensional shingles and it considers what the slope of the roof is (different amounts of waste occur at hips/valleys based on these things!). 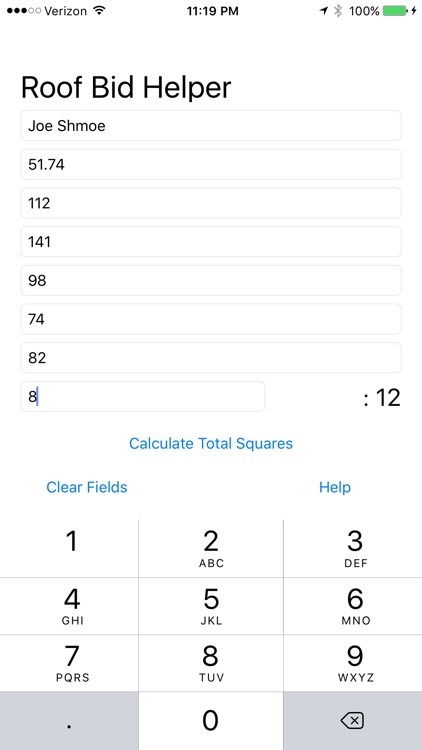 This app figures how many "squares" of starter you will need, and how many "squares" of hip/ridge shingle you will need. 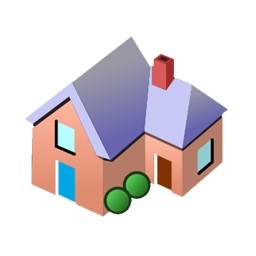 It also figures a certain amount for damaged shingles from the factory and fallen shingles, again, based upon roof slope (you lose more on a really steep roof) and job size. 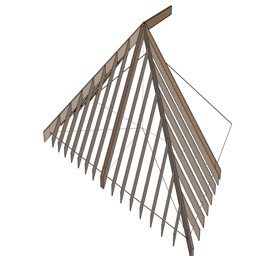 It figures a small amount of waste occurring at the rakes, and considers the difference between 3-tab and dimensional shingle waste occurring here. Assumes 5 1/2" reveal for dimensional shingles. Roofers often chalk lines at 11" rather than the proper 11 1/4" for ease of marking (11", 22", 33", 44", 55", etc.). 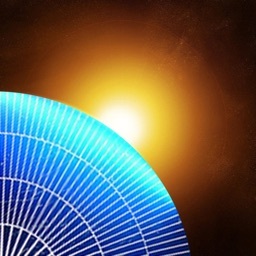 Doing so results in about 2% added to geometric roof area, but is what tends to actually happen in the field. 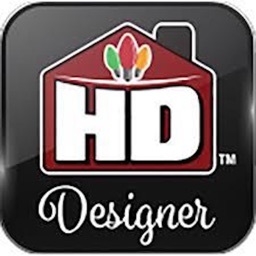 While we cannot guarantee that it is perfect, and while we disclaim liability for ordering too little or too much material, we feel that this app generates a very accurate picture of your roofing material needs, and helps you to more accurately bid your job. 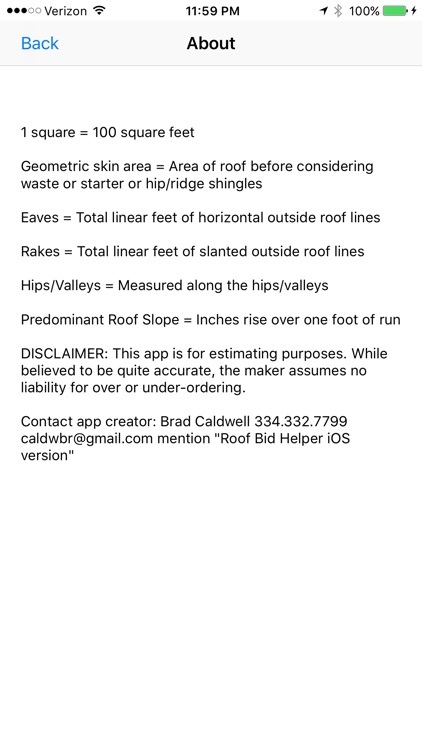 Caldwell's Roofing (company of the producer of this app) likes to bid his shingle roof based on TOTAL SQUARES needed, which includes raw "geometric skin area," starter shingles, hip/ridge shingles, and all waste/redundancies. This provides the homeowner with a more fair price than basing your price on "geometric skin area" alone, and adding a guessed amount for waste & accessories. 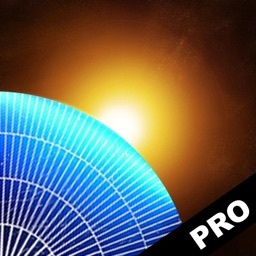 If you have suggestions for this app, please email them to [email protected] Thanks, and happy roofing!